We Provide Advanced Java (Java Enterprise Edition / Java EE) Trainings with an excellent and real time faculty/trainer. Our Trainers having excellent knowledge in specific domain. Our Advanced Java training course content designed as per the current IT industry requirement. Advanced Java is having very good demand in the market, huge number of Java EE Java job openings are there in the IT world. Based on this demand for Java EE Affy Informatics Trainings started providing Java EE Training in Gwalior India. We also provide industrial training in Java EE. We give training on Real Time Project. Today, Java EE offers a rich enterprise software platform. We provide regular and weekend classes as well as Normal track/Fast track based on the student’s requirement and availability. We also give opportunities to work as an intern in our company. 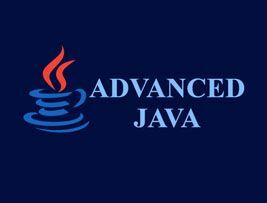 All students can attend the Advance Java Training bathes as per their convenient timings. As all our faculty is real time professional they will cover all the real time scenarios. We trained many people on Advanced Java, We provide corporate trainings across the India and we have many clients throughout the India. Enroll the Advanced Java training course with us and make yourself Java EE professional. We will give you 100% satisfaction guarantee, after completion of Java EE Training we provide 24/7 365 days technical support for required candidates. Only Affy informatics is the best institute for Advanced Java (Java EE / J2EE / JEE) Training in Gwalior, India.